In the Northwest corridor just inside the 610 loop, you’ll find the largely residential neighborhoods of Lazybrook, Timbergrove, and Shady Acres. The area was originally settled by German farmers in the late 1800s. The deed neighborhoods of Lazybrook and Timbergrove were founded in the 1950s and ’60s. Just west in Shady Acres, the once heavily wooded area started becoming residential in the 1920s, eventually being founded in 1935. Today, original bungalows and modest cottages sit among new construction, parks, retailers, and bustling restaurants and bars. Note: For the purposes of this list, the Lazybrook and Timbergrove area is defined by this map and Shady Acres is defined by this map. 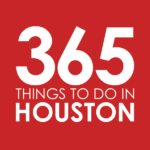 Have a laidback Houston meal – In case you haven’t heard, Houston is one of the most diverse cities in the country, and this quadrant of the city is no different. See the best of Mutt City culture at Vietnamese craft beer pub, Hughie’s Tavern and Vietnamese Grill. There, you’ll find banh mi burgers, vermicelli bowls, shaking beef, and country fried steak alongside local and favorite craft taps. Click here for directions. For an all-American experience, you won’t want to miss Hubcap Grill, easily one of the best burger joints in town. Hangout on the patio and take down monster burgers like the classic Hubcap Decker, with two hand-formed patties, double the cheese and house mayo; the Frito Pie Burger, packed with chili, cheese, and griddled jalapeños and onions; or the Sticky Monkey Burger, a surprising standout with crunchy peanut butter, bacon, and American cheese. Click here for directions. And for a taste of Germany, you’ll want to enjoy steins, brats, and schnitzels at colossal bier hall and garden, King’s BierHaus; or the killer kolache at sibling establishment EggHaus Gourmet. Click here for directions to King’s BierHaus. Click here for directions to EggHaus Gourmet. SING offers a look at Singapore, with inspired Asian eats ranging from Singapore Chili Crab Rangoon to Bak Kut Teh. Click here for directions. At Crisp, cheese plates, pasta, and bar pies sit alongside craft beers and crisp wines. Click here for directions. As do Neapolitan-style pizza, salads, pasta and more at Cane Rosso. Click here for directions. KA Sushi has become a fan favorite for sushi and shareables like miso shrimp and hot rock wagyu; and Tarka Indian Kitchen draws crown thanks to its fast-casual atmosphere and fiery eats. Click here for directions to KA Sushi. Click here for directions to Tarka. There’s also Cedar Creek Bar & Grill’s daily lineup of specials, from Steak Night on Mondays to Greasy Lips Fried Chicken on Fridays. Click here for directions to Cedar Creek. Spend a day at the park – There is plenty of green space in the area. Runners, walkers, and cyclists can hit the West White Oak Bayou Greenway Trail, which runs right through the neighborhoods along T.C. Jester. Click here for directions. The West 11th Street Park boasts over 1,800 mature trees, budding wooded trails, over 100 species of birds, 33 species of butterflies, and countless other wildlife. Click here for directions. Jaycee Park is a place to relax and play, with a 1/3 mile walking trail, picnic tables and benches, tennis and basketball courts, a playground, and a water playground for the kids. Click here for directions. Sip craft suds at Eureka Heights Brew Co. – Named after the Eureka Heights fault system that runs beneath it, this young gun brewery works hard to make interesting, approachable beer. Hit it to sip crisp, sessionable year-rounds, like the Mostly Harmless, a Cirta Pale Kolsch with hops that hang on your tongue; or the Moo Caliente, a heroic milk stout with cayenne and cinnamon that’s not for the faint of heart. There are also seasonal inspirations, beer flights and growlers, bar games like ladder golf and corn hole, and food trucks on site. Visit the taproom Wednesday and Thursday 4pm to 9pm; Friday 3pm to 10pm; Saturday 10am to 10pm; and Sunday noon to 8pm. Click here for directions. Wine, dine and date night– For fancy, but still unstuffy affair, head to the beautiful Rainbow Lodge. Open for lunch, dinner, and Sunday brunch, the historic log cabin sits on a picturesque acre and boasts a menu of upscale lodge fare, from smoked duck gumbo and wild game mixed grill to rainbow trout with lump crab and chimichurri-rubbed ribeye and eggs. Click here for directions. Just on the eastern edge of Shady Acres, you’ll find stunners in sibling eateries La Lucha and Superica. At La Lucha, Gulf gems and fried chicken dinners are the name of the game; Slurp oysters on-the-half-shell, dig into peel-and-eat shrimp, sip bubbles, wines, beers and cocktails, and share a fried bird alongside biscuits and jam. Over at Tex-Mex spot Superica, pair tasty margaritas with enchiladas, carne guisada, queso flameado, and crispy Gulf red snapper. Click here for directions. Hit the sweet spot – Right on the edge of Shady Acres, Fat Cat Creamery, Hugs & Donuts, and SMOOSH Cookies are musts for those with a sweet tooth. At Fat Cat Creamery, small-batch ice cream gets an extra wow from high-quality, local ingredients and inspired flavors. Get a double scoop of flavors like Milk Chocolate Stout (made with oatmeal stout beer), Amaya Coffee and Cream, or dairy-free Chai Tea Coconut. Then drizzle on hot fudge, warm praline sauce and a sprinkle of salted almond brittle. Click here for directions. Hugs & Donuts makes for the perfect morning, with stellar coffee, kolaches, and donuts with housemade fillings. Grab a few classic glazed and chocolate sprinkle varieties then go all-in on tres leches, s’mores, cheesecake donuts, and some the fritters of the day. Click here for directions. Smoosh Cookies is your go-to spot for ice cream cookie sandwiches, made new school with flavors like snickerdoodle, churro, and red velvet cookie smooshed with a variety of ice creams (from purple yam to mint chocolate chip) and toppings (think caramel, marshmallow, and Oreo crumbles). Click here for directions. And if pancakes are your thing, you’ll want to check out the pancake flights at Snooze, an A.M. Eatery. Click here for directions.